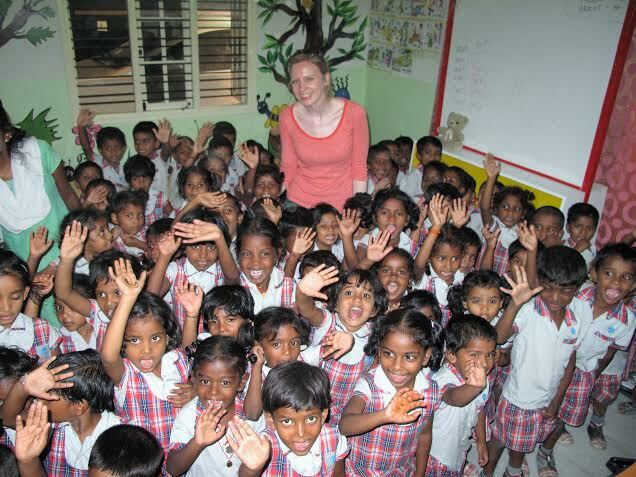 “Arriving at this school, located within walking distance of the slum where its pupils and their families live, is much like arriving at any school for 4 and 5 year old children – it is like stepping into a pint-sized wonderland! Colours are bright, songs are just as good for communicating as ordinary speech, and laughter is easy and infectious. No sooner were we through the door than we were greeted by a chorus of excited voices eager to show off their blossoming English-language skills. Delighted cries of ‘I am happy’ and ‘I am good’ were by far the most popular declarations. Given that these are children who have had no prior exposure to English, the fact that their learning is now entirely in English is both impressive and significant. It is testament to the progress these children make in their short time at Edelweiss school, and it provides them with an educational head-start they would not otherwise have. After meeting with the school’s head teacher, I was given a tour of the school building; a bright, clean, cheerful place. In every classroom I saw lively four and five year old children doing precisely the sorts of things that four and five year old children should be doing; coloring, singing; dancing; laughing; and learning. These children are sociable, confident, and keen to engage, and although they are too young yet to worry what their futures might hold, watching them flourish within that bright building, I had the opportunity to imagine that their futures will be bright. For children growing up in the slum, this is perhaps more remarkable than it should be. …it was here that the sharply contrasting worlds they inhabit became most apparent. At the end of the day’s lessons, we saw the children line up to wash their hands before being given their afternoon snack of fresh fruits. And then it was home-time. We walked the short distance to the slum with the children and their mothers, and it was here that the sharply contrasting worlds they inhabit became most apparent. Here, in their smart uniforms, the children from Edelweiss looked initially at odds with their environment, and then they dispersed, engulfed by the complex maze of narrow streets. In the slum, they are still children, but they are not like other four and five year olds anymore. They do not go home to a safe, clean house; to kids TV; to playing out on bikes; to a bedroom that is theirs. Most of the homes we saw in the slum had only one room, a rare few had two. There are no beds; no bathrooms; no rooms that you can walk into and instantly know ‘a child sleeps here’. 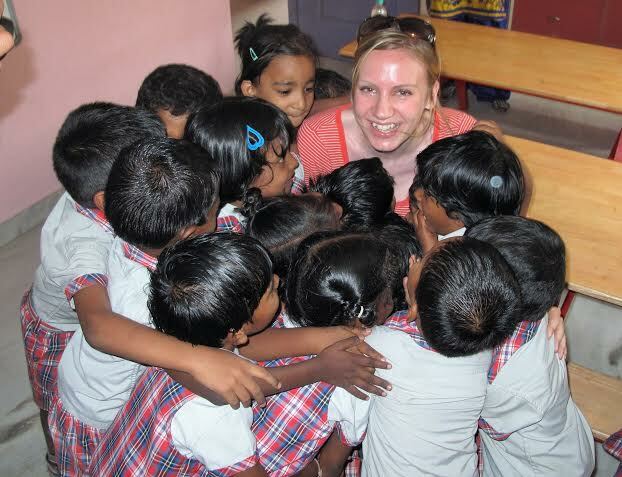 For the children at Edelweiss school, the slum is what they come home to. For many other children their age however, the slum is all they know. 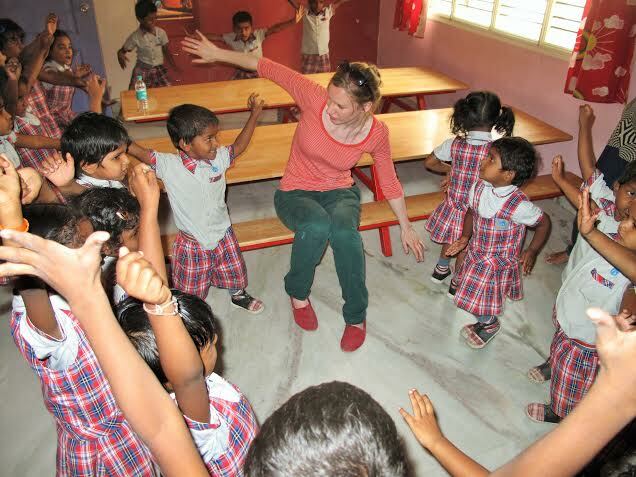 It is only through visiting these slums that it becomes truly apparent the extent to which schools like Edelweiss offer their pupils not just an education, but a window into a world they might not otherwise see. And what better way to end the cycle of poverty these children have been born into than to provide them with a view of this world, and a vision of what their place in it might be? 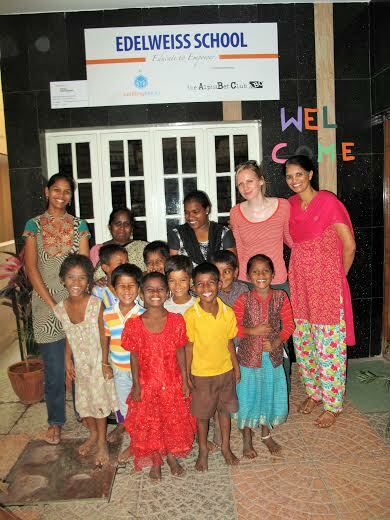 Thousands upon thousands of children in India are born into a life of unimaginable poverty, but projects like the Alphabet Club and Building Block’s ensure that this poverty need not be debilitating. They offer children growing up in some of the most difficult circumstances in the world a safe place to discover the joy of learning, and to begin realizing their potential. At the end of my short visit to Edelweiss school I left with an overwhelming certainty; something good is happening here. 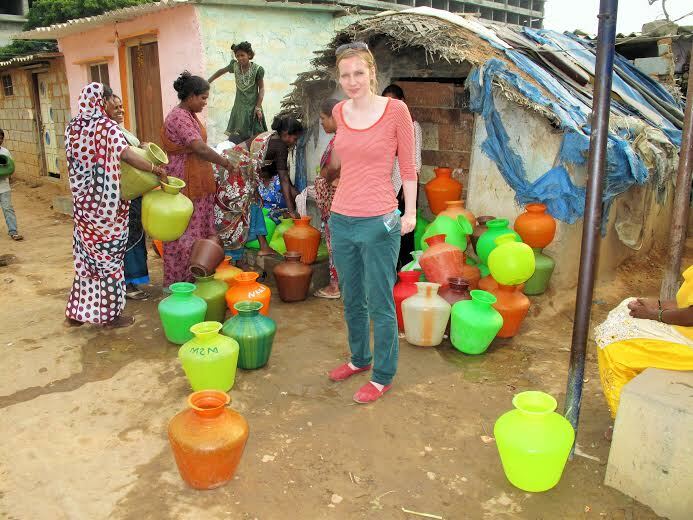 Liz visited Edelweiss school and GD Mara slum in April last year, whilst in Bangalore to work for another organization on a voluntary project to write a study which formed part of a series of reports on human rights. On behalf of AlphaBet Club, we’d like to Thank Liz for sharing her experience in visiting our school.